Sage is often used to flavor roasted turkey or chicken and as a seasoning in a stuffing, which makes it a star at Thanksgiving or during the holidays. But if it's not a spice that you keep in your spice rack, there are other seasonings that you can use as a substitute. Read on to learn your best options. Sage is available in fresh, dried (often referred to as rubbed), and ground form. If you don't have the kind that your recipe calls for, but you do have one of the other two types, they are probably your best bets for recipe swap-outs. Sage is more pungent in its dried and ground form, so it's important to adjust down. For 1 tablespoon of fresh sage, use 1 teaspoon of dried (rubbed) sage or 1/2 teaspoon of ground sage. However, if you don't have sage in any form, there are still plenty of other herbs or spice blends that you can use as a stand-in. Sage has an earthy, peppery flavor. There's nothing else quite like it, but all of the options described below should stand in nicely. As the name suggests, this is a spice blend that's frequently used to season turkey and chicken. It includes sage as an ingredient. It typically also includes marjoram, savory, parsley, thyme, rosemary, and onion powder. Despite the name, poultry seasoning also works well in stuffing. Use an equal amount of poultry seasoning in place of the dried sage called for in your recipe. Or, use 1 teaspoon of poultry seasoning in place of each tablespoon of fresh sage the recipe calls for. If your recipe calls for the other spices in poultry seasoning, you can simply use this seasoning in place of all the individual spices. This is another herb that works well with meats. It's savory, like sage, but it has a more pine and citrus flavor to it. 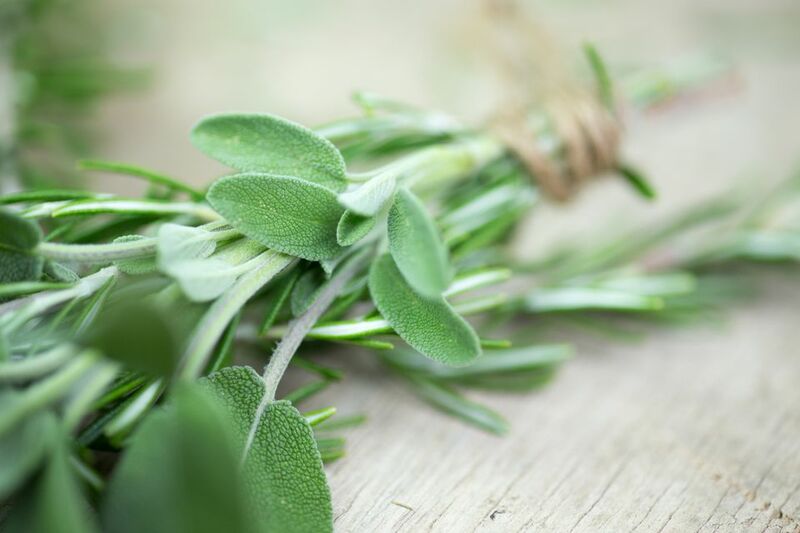 Use it in equal amounts—for every teaspoon of dried sage, use a teaspoon of marjoram. For every tablespoon of fresh sage called for in your recipe, use a teaspoon of dried marjoram. This herb has pine needle-like leaves, an intense citrus-and-pine flavor, and a wonderfully distinct aroma. It is also well-suited to use with meats. As with marjoram, replace it measure for measure. Thyme has a woodsy flavor and, depending on the variety, can also have citrus or mint notes. Use it in equal measure. As with the other sage-substitution herbs, savory is commonly used to season poultry and stuffing. It has some of the same peppery flavors as sage. Replace it one-for-one, and you should get excellent results. Sage isn't the only ingredient for which you can find great substitutions. You can use substitutions for any number of ingredients called for in recipes, including other herbs and spices, baking ingredients, alcohol, sugar and sweeteners, cocoa and chocolate substitutes, and much more. What to Substitute for Thyme in a Recipe? Forgot the Nutmeg? Use This Instead.